Skating, snowboarding and riding motorcycles are obviously about two things: living dangerously and looking good doing it. If you’re serious about the latter, then you probably have some pretty sweet gear—perhaps even a custom hand-painted helmet. But what if you want to change things up once in a while? Of course buying a bunch of helmets isn’t exactly cheap, let alone space efficient. 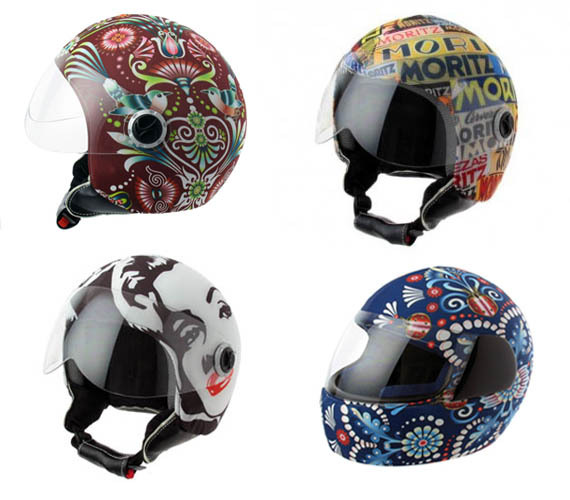 Instead check out the incredible assortment of helmet covers by HelmetDress. They offer a ton of styles for full face, jet and ski helmets, letting you pick the designs guaranteed to make you look cool while you do what you do.